It's Elmo's birthday - and you're invited to the party! All your favorite Sesame Street® characters will be there: Big Bird, Cookie Monster, Oscar the Grouch, Zoe, and more. 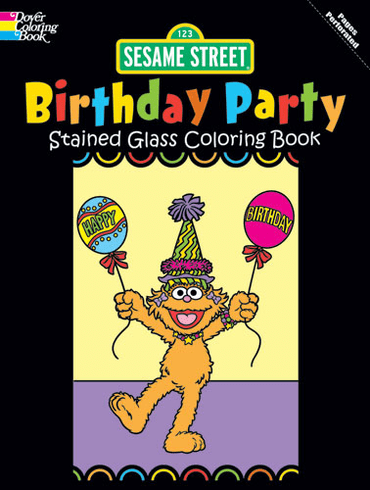 You can color pictures of all of the festivities, from blowing out candles to opening presents. After you are done, display these special pages in a window - they'll glow just like real stained glass!